Revolution Slider Error: Slider with alias aluminum-fence not found. 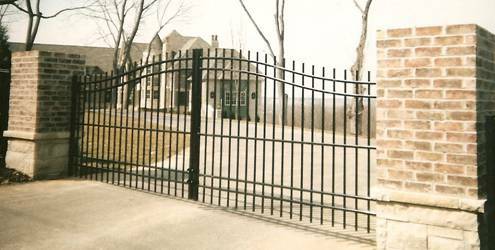 Ornamental aluminum fencing has the look of wrought iron with the added benefit of knowing it will not rust. The powder-coated finish is guaranteed not to crack or peel. A variety of styles and colors gives you the freedom to choose an aluminum fence that suits your specific needs. Whether around a swimming pool or the entire backyard, the maintenance-free ornamental aluminum fence is sure to add beauty to your home. 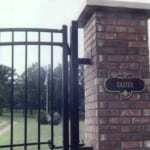 Ornamental aluminum entry gates make any entrance beautiful without the worry of time-consuming maintenance. 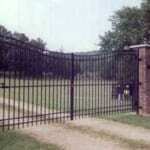 Add a gate operator to your gate and create a motorized entryway that can be opened only by those whom you trust. 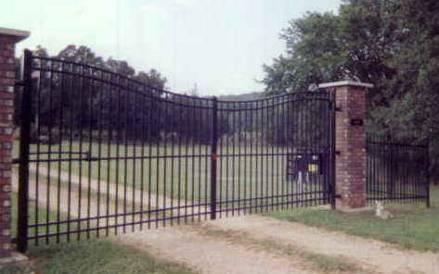 Like all of our other ornamental aluminum fences, our entry gates are manufactured to the highest standards of quality. 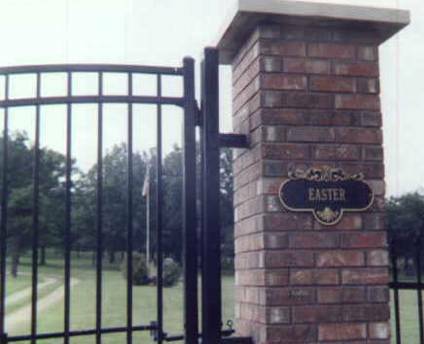 Below are examples of ornamental aluminum entry gates installed by Easter.